I wanted to make him something completely different to anything I’ve made before so turned to Pinterest for inspiration. It didn’t take long to be drawn in and soon I’d forgotten why I’d even logged into Pinterest in the first place. Does anyone else have this problem? Anyway, my eye was eventually caught by some fab patchwork quilting patterns and before I knew it I’d started a whole new “Quilting” board. I’m so pleased with how it turned out. …and I’m not sure whether I prefer the back or the front more. What do you think? 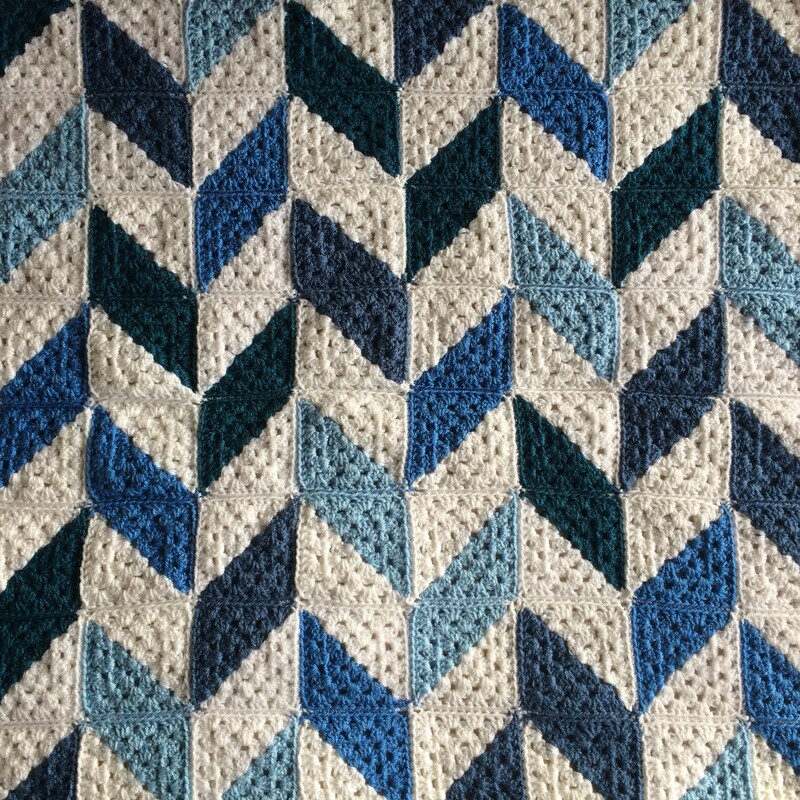 Now, I won’t go making promises about writing up the pattern because we all know that I’m rubbish at actually getting things like that done, but maybe one day it might happen. We will have to wait and see! What are your crochet inspirations? 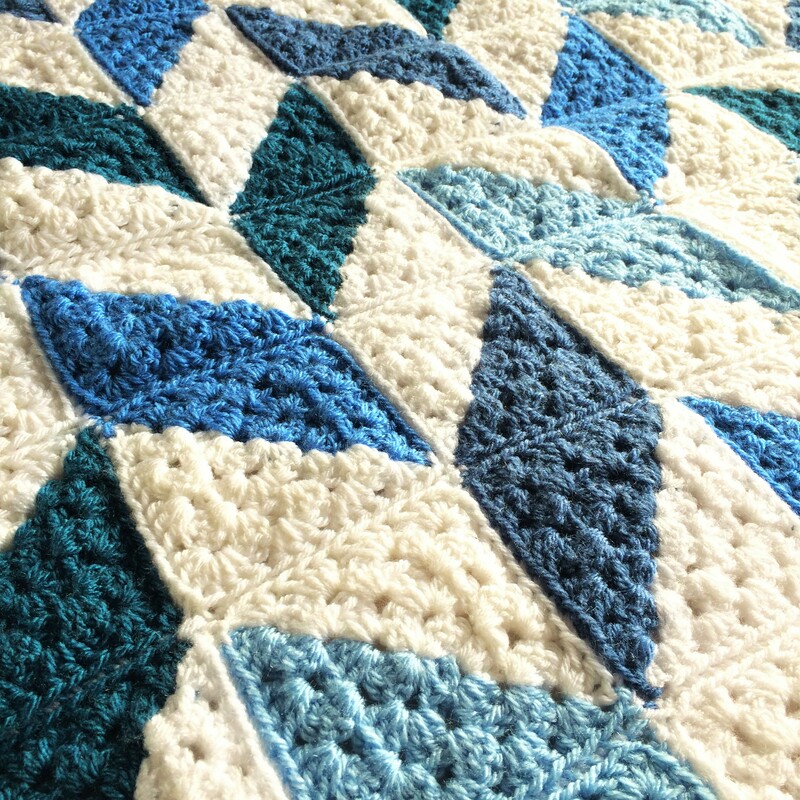 Have you ever translated patchwork in to crochet? Let me know. Thank you Susan. My friend did love the blanket too! 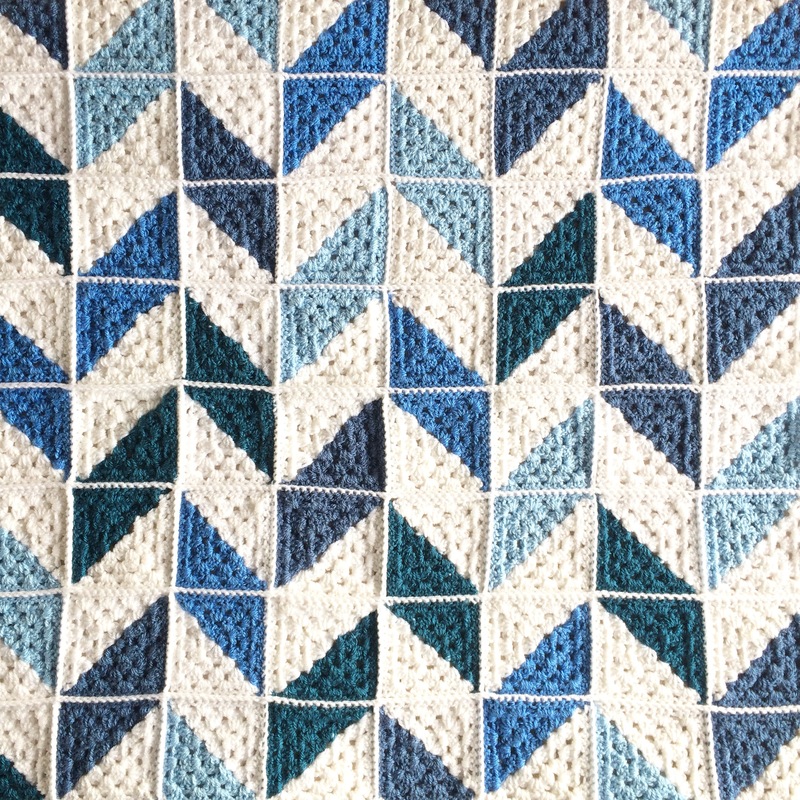 I have a pattern similar to this now. It all depends on how you put it together… at least I think it’s the same. This is quite beautiful! 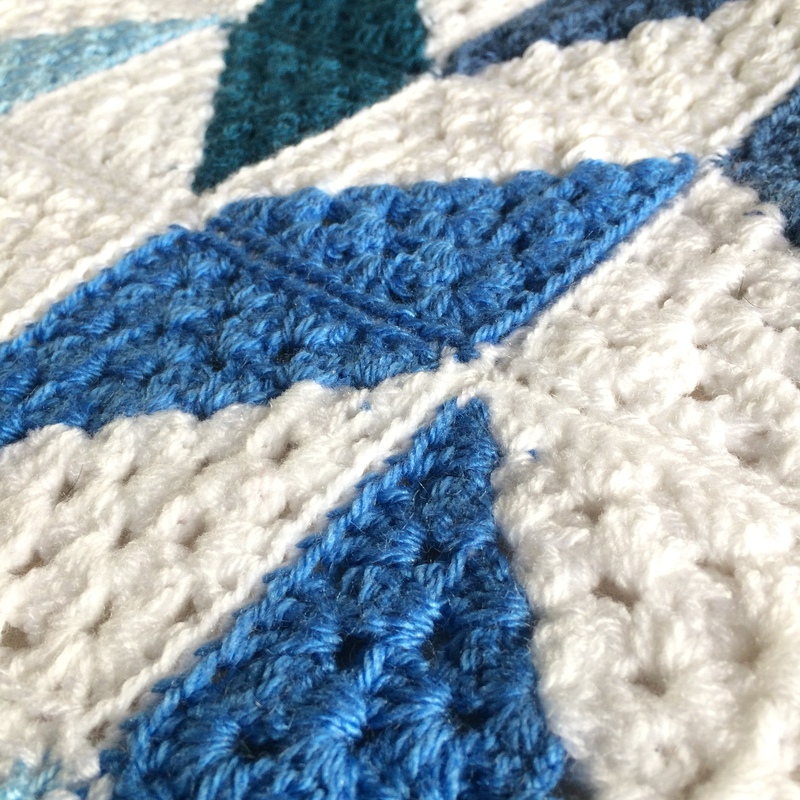 The one i did,, I made a big star in the middle… and small ones on the outer corners and star tips sort of like on the outside edges… grannies are SO versatile! Gosh, sorry for the delay in responding. 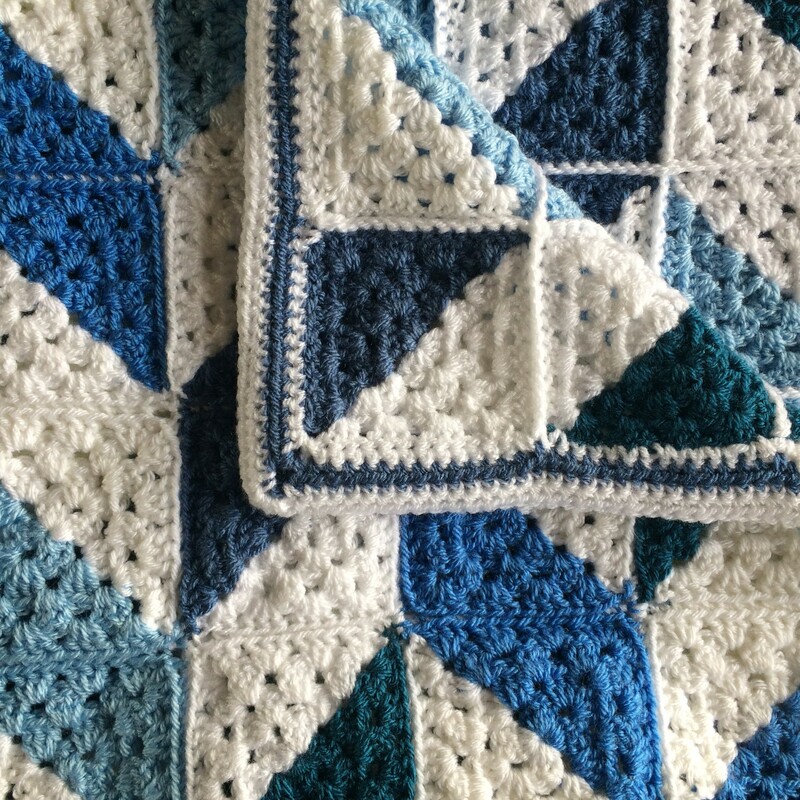 You’re right, the granny square is so versatile and you can create some beautiful patterns by putting these squares together in different ways.